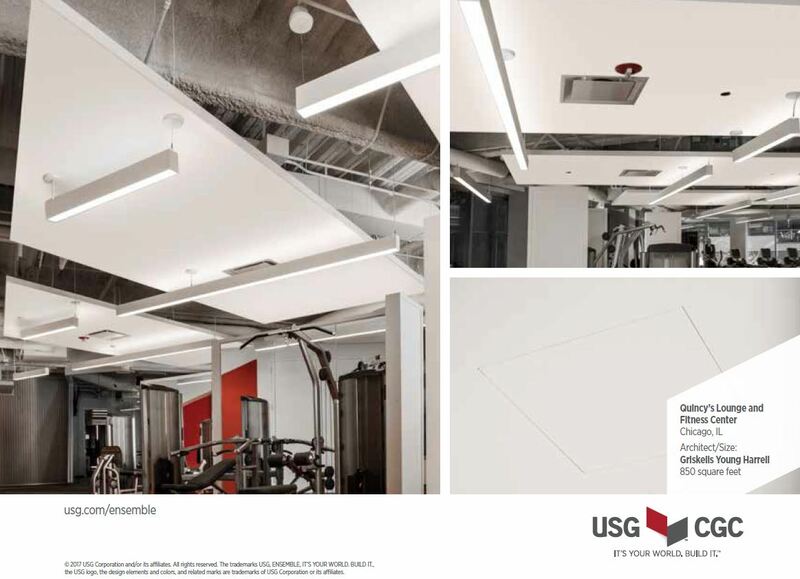 Quincy’s, the Tenant Lounge and Fitness Center at 550 W Adams in Chicago, was featured in USG Corportion’s product brochure for their new Ensemble Monolithic Acoustical Ceiling System. GYH was pleased to be involved with one of this system’s first Chicagoland installations. The system provides the seamless look of drywall with the acoustical properties of a traditional tile-and-grid ceiling. 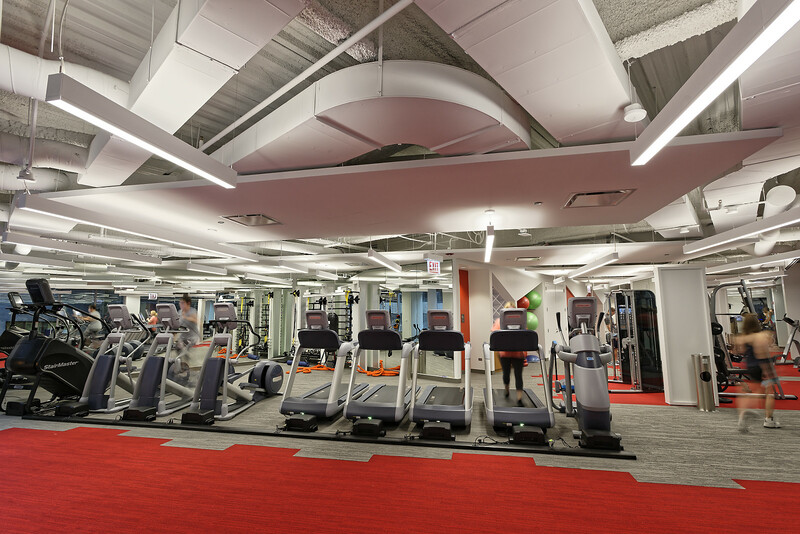 We used it extensively above exercise machines and work-out areas in the noisy Fitness Center to provide clean, space defining ceiling clouds. Read more about Quincys here, and see the full USG Product Brochure here and here.